Many people prefer to find, what sort of questions employers ask in job interviews. Therefore I decided to put up an article on how to face a job interview and what sort of questions would they ask. I have received many letters from our readers requesting an article on how to prepare them selves for a job interview. They have sent me some of the details about the interviews they faced which I found so hilarious. This is one such article sent by a young reader who do not want to disclose his name. Just to give some back ground on the author, he is a graduate on Electronics currently engaged in a job in the electronics field. He applied for a management trainee job in one of the top banks in Sri Lanka. Job advertisement has specifically mentioned that anyone with a bachelor’s degree from any field can apply for that. Therefore he also sent an application. These are the questions they asked him in the interview and I published it as it is. (I only removed some specific details such as university name and other personal details mentioned in it). After reading this I hope you can get some idea on the difference between what they advertise and what the reality is. This is how the interview took place. These are the lines from Interview Board. • Good morning…Please take a seat…. • Tell us about you which are not included in your CV. • Why do you want a banking job when you have an electronics degree? • This job requires you to learn from school leavers who don’t have qualifications as you and might be junior to you. Your seniors can be school leavers. Is this OK with you? 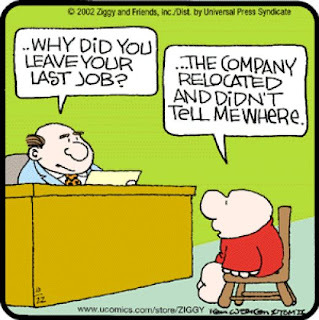 • Why do you want to quit from your current job? Is it the salary? • You have done Electronics, now you are coming to the banking field. You will work in this bank for five years and then again you will jump to a different field right? • How much are you getting paid now? • What are your salary expectations? • OK. If we’re to match your current salary is it enough for you? • Now, earlier you said salary is not the issue; you’re contradicting yourself here right? • How much do you expect as the salary? • We can pay only Rs.27500/-. Is it acceptable to you? • Then (when the applicant did not agree) we have a problem. I know for a fact that this bank recruits Management Trainees only through internal recommendations. So I do not know for what purpose they put up paper advertisements. I have many other letters from female applicants whose application got rejected just because they are female. For a fact they've being told that they can't be transferred to rural areas, they cannot be employed in the night shifts and if they get pregnant have to give them long leave etc excuses. I will publish those as well in the future. Hope you can get something out of these real experience articles. Next time you go to an interview you can be read for these then. Whats a graduate in Electronics doing applying for a bank?? What is the usual salary an applicant should quote for a management trainee job in a bank? Apologies for the delay to reply.Its a quarter end and I dont have much free time. My answer is that depend on the bank. I will try to get some details from a salary survey. o.k. I will publish it if I manage to get the details officially. If you are going to an interview, best thing is to check with someone who work there. As per my knowledge during the year 2010 Management traiee salaries were varied from about Rs 25,000 to Rs60,000. This is so true.... I have experienced many situations like this...I think as a company it is a must to advertise so they do it although 8 out of 10 people they hire through internal recommendations.. of course the sad part is seeing idiots getting hired. Mrs.Surangi,i'm a A/L candidate on bio stream. I'm really interested in chemistry and i wanna study further on that. If i got selected to university of colombo,faculty of sciene i wanna do a spe.digree on chemistry. I also have a dream of working at "SLINTEC" as a scientist.all i wanna know is that does only che. spe. is fair enough to be a scientist at research institutes like "SLINTEC"